The decisions we spend the most time on are rarely the most important ones. Not all decisions need the same process. Sometimes, trying to impose the same process on all decisions leads to difficulty identifying which ones are most important, bogging us down and stressing us out. I remember once struggling at the intelligence agency shortly after I received a promotion. I was being asked to make too many decisions. I had no way to sort through them to figure out which ones mattered, and which ones were inconsequential. The situation built slowly over a period of weeks. My employees were scared to make decisions because their previous boss had hung them out to dry when things went wrong. My boss, a political high flyer, also liked to delegate down the riskiest decisions. As a result, I had more decisions to make than capacity to make them. I was working longer and longer to keep up with the volume of decisions. Worse, I followed the same process for all of them. I was focusing on the most urgent decisions as the cost of the most important decisions. It was clear to me that I wasn’t the right person to make all of the decisions. I needed a quick and flexible framework to categorize decisions into the ones I should be making and the ones I should be delegating. I figured most of the urgent decisions could be made by the team because they were easily reversible and not very consequential. In fact, they were only becoming urgent because the team wasn’t making the decisions in the first place. And because I was rushing through these decisions in an effort to put more time into the important decisions, I was making worse choices than the team would have. As I was walking home one night, I came up with an idea that I used from the next day on, with pretty good success. I call it the Decision Matrix. It’s a decision making version of the Eisenhower Matrix, which helps you distinguish between what’s important and what’s urgent. It’s so simple you can draw it on a napkin, and once you get it, you get it. While it won’t make the decisions for you, it will help you quickly identify which decisions you should focus on. My strategy for triaging was simple. I separated decisions into four possibilities based on the type of decision I was making. The great thing about the matrix is that it can help you quickly delegate decisions. You do have to do a bit of mental work before you start, such as defining and communicating consequentiality and reversibility, as well as where the blurring lines are. This matrix became a powerful ally to help me manage time and make sure I wasn’t bogged down in decisions where I wasn’t the best person to decide. I delegated both types of inconsequential decisions. Inconsequential decisions are the perfect training ground to develop judgment. This saved me a ton of time. Before this people would come to me with decisions that were relatively easy to make, with fairly predictable results. The problem wasn’t making the decision—that took seconds in most cases. The problem was the 30 minutes the person spent presenting the decision to me. I saved at least 5–7 hours a week by implementing this one change. The key to successfully employing this in practice was to make sure everyone was on same page with the terms of consequential and reversible. At first, people checked with me but later, as the terms became clear, they just started deciding. While the total volume of decisions we made as a team didn’t change, how they were allocated within the team changed. I estimate that I was personally making 75% fewer decisions. But the real kicker was that the quality of all the decisions we made improved dramatically. People started feeling connected to their work again, productivity improved, and sick days (a proxy for how engaged people were) dropped. Give the Decision Matrix a try—especially if you’re bogged down and fighting to manage your time, it may change your working life. Still Curious? Read The Eisenhower Matrix: Master Productivity and Eliminate Noise next. Members can discuss this article in the Learning Community. If you’re not a member, see what you’re missing. So, you’ve done the work necessary to have an opinion, learned the mental models, and considered how you make decisions. But how do you now implement these concepts and figure out which ones work best in your situation? How do you know what’s effective and what’s not? One solution to this dilemma is double loop learning. We can think of double loop learning as learning based on Bayesian updating — the modification of goals, rules, or ideas in response to new evidence and experience. It might sound like another piece of corporate jargon, but double loop learning cultivates creativity and innovation for both organizations and individuals. The first time we aim for a goal, follow a rule, or make a decision, we are engaging in single loop learning. This is where many people get stuck and keep making the same mistakes. If we question our approaches and make honest self-assessments, we shift into double loop learning. It’s similar to the Orient stage in John Boyd’s OODA loop. In this stage, we assess our biases, question our mental models, and look for areas where we can improve. We collect data, seek feedback, and gauge our performance. In short, we can’t learn from experience without reflection. Only reflection allows us to distill the experience into something we can learn from. Not learning can actually make you worse off. The world is dynamic and always changing. If you’re standing still, then you won’t adapt. Forget moving ahead; you have to get better just to stay in the same relative spot, and not getting better means you’re falling behind. Many of us are so focused on solving problems as they arise that we don’t take the time to reflect on them after we’ve dealt with them, and this omission dramatically limits our ability to learn from the experiences. Of course, we want to reflect, but we’re busy and we have more problems to solve — not to mention that reflecting on our idiocy is painful and we’re predisposed to avoid pain and protect our egos. Reflection, however, is an example of an approach I call first-order negative, second-order positive. It’s got very visible short-term costs — it takes time and honest self-assessment about our shortcomings — but pays off in spades in the future. The problem is that the future is not visible today, so slowing down today to go faster at some future point seems like a bad idea to many. Plus with the payoff being so far in the future, it’s hard to connect to the reflection today. In the same way, a muscle strengthens at the point of failure, we learn best after dramatic errors. The problem is that single loop processes can be self-fulfilling. Consider managers who assume their employees are inept. They deal with this by micromanaging and making every decision themselves. Their employees have no opportunity to learn, so they become discouraged. They don’t even try to make their own decisions. This is a self-perpetuating cycle. For double loop learning to happen, the managers would have to let go a little. Allow someone else to make minor decisions. Offer guidance instead of intervention. Leave room for mistakes. In the long run, everyone would benefit. The same applies to teachers who think their students are going to fail an exam. The teachers become condescending and assign simple work. When the exam rolls around, guess what? Many of the students do badly. The teachers think they were right, so the same thing happens the next semester. Many of the leaders Argyris studied blamed any problems on “unclear goals, insensitive and unfair leaders, and stupid clients” rather than making useful assessments. Complaining might be cathartic, but it doesn’t let us learn. Argyris explained that this defensive reasoning happens even when we want to improve. Single loop learning just happens to be a way of minimizing effort. We would go mad if we had to rethink our response every time someone asked how we are, for example. So everyone develops their own “theory of action—a set of rules that individuals use to design and implement their own behavior as well as to understand the behavior of others.” Most of the time, we don’t even consider our theory of action. It’s only when asked to explain it that the divide between how we act and how we think we act becomes apparent. Identifying the gap between our espoused theory of action and what we are actually doing is the hard part. The first step Argyris identified is to stop getting defensive. Justification gets us nowhere. Instead, he advocates collecting and analyzing relevant data. What conclusions can we draw from experience? How can we test them? What evidence do we need to prove a new idea is correct? The next step is to change our mental models. Break apart paradigms. Question where conventions came from. Pivot and make reassessments if necessary. Problem-solving isn’t a linear process. We can’t make one decision and then sit back and await success. When we repeat a single loop process, it becomes a habit. Each repetition requires less and less effort. We stop questioning or reconsidering it, especially if it does the job (or appears to). While habits are essential in many areas of our lives, they don’t serve us well if we want to keep improving. For that, we need to push the single loop to the point of failure, to strengthen how we act in the double loop. It’s a bit like the Feynman technique — we have to dismantle what we know to see how solid it truly is. One example is the typical five-day, 9-to-5 work week. Most organizations stick to it year after year. They don’t reconsider the efficacy of a schedule designed for Industrial Revolution factory workers. This is single loop learning. It’s just the way things are done, but not necessarily the smartest way to do things. The decisions made early on in an organization have the greatest long-term impact. Changing them in the months, years, or even decades that follow becomes a non-option. How to structure the work week is one such initial decision that becomes invisible. As G.K. Chesterton put it, “The things we see every day are the things we never see at all.” Sure, a 9-to-5 schedule might not be causing any obvious problems. The organization might be perfectly successful. But that doesn’t mean things cannot improve. It’s the equivalent of a child continuing to crawl because it gets them around. Why try walking if crawling does the job? Why look for another option if the current one is working? A growing number of organizations are realizing that conventional work weeks might not be the most effective way to structure work time. They are using double loop learning to test other structures. Some organizations are trying shorter work days or four-day work weeks or allowing people to set their own schedules. Managers then keep track of how the tested structures affect productivity and profits. Over time, it becomes apparent whether the new schedule is better than the old one. 37Signals is one company using double loop learning to restructure their work week. CEO Jason Fried began experimenting a few years ago. He tried out a four-day, 32-hour work week. He gave employees the whole of June off to explore new ideas. He cut back on meetings and created quiet spaces for focused work. Rather than following conventions, 37Signals became a laboratory looking for ways of improving. Over time, what worked and what didn’t became obvious. 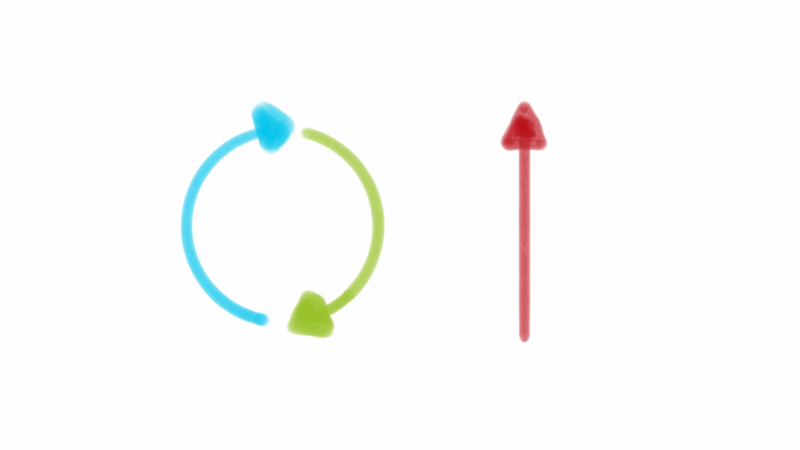 Double loop learning is about data-backed experimentation, not aimless tinkering. If a new idea doesn’t work, it’s time to try something else. In an op-ed for The New York Times, Camille Sweeney and Josh Gosfield give the example of David Chang. Double loop learning turned his failing noodle bar into an award-winning empire. After apprenticing as a cook in Japan, Mr. Chang started his own restaurant. Yet his early efforts were ineffective. He found himself overworked and struggling to make money. He knew his cooking was excellent, so how could he make it profitable? Many people would have quit or continued making irrelevant tweaks until the whole endeavor failed. Instead, Mr. Chang shifted from single to double loop learning. A process of making honest self-assessments began. One of his foundational beliefs was that the restaurant should serve only noodles, but he decided to change the menu to reflect his skills. In time, it paid off; “the crowds came, rave reviews piled up, awards followed and unimaginable opportunities presented themselves.” This is what double loop learning looks like in action: questioning everything and starting from scratch if necessary. Josh Waitzkin’s approach (as explained in The Art of Learning) is similar. After reaching the heights of competitive chess, Waitzkin turned his focus to martial arts. He began with tai chi chuan. Martial arts and chess are, on the surface, completely different, but Waitzkin used double loop learning for both. He progressed quickly because he was willing to lose matches if doing so meant he could learn. He noticed that other martial arts students had a tendency to repeat their mistakes, letting fruitless habits become ingrained. Like the managers Argyris worked with, students grew defensive when challenged. They wanted to be right, even if it prevented their learning. In contrast, Waitzkin viewed practice as an experiment. Each session was an opportunity to test his beliefs. He mastered several martial arts, earning a black belt in jujitsu and winning a world championship in tai ji tui shou. Argyris found that organizations learn best when people know how to communicate. (No surprise there.) Leaders need to listen actively and open up exploratory dialogues so that problematic assumptions and conventions can be revealed. Argyris identified some key questions to consider. What is the current theory in use? How does it differ from proposed strategies and goals? What unspoken rules are being followed, and are they detrimental? What could change, and how? Forget the details; what’s the bigger picture? Meaningful learning doesn’t happen without focused effort. Double loop learning is the key to turning experience into improvements, information into action, and conversations into progress. 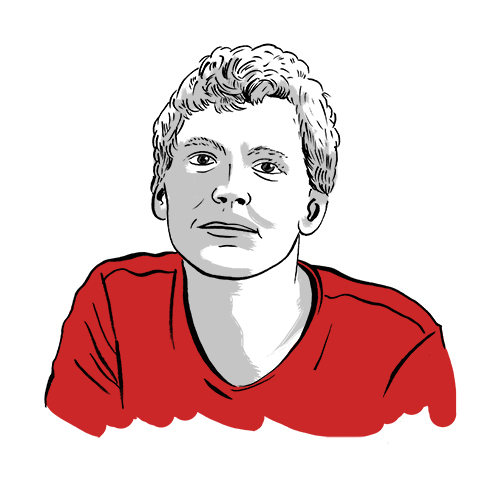 On this episode of the Knowledge Project, I chat with Patrick Collison, co-founder and CEO of the leading online payment processing company, Stripe. If you’ve purchased anything online recently, there’s a good chance that Stripe facilitated the transaction. What is now an organization with over a thousand employees and handling billions of dollars of online purchases every year, began as a small side experiment while Patrick and his brother John were going to college. …life in Silicon Valley, Baumol’s cost disease, and so, so much more. Patrick truly is one of the warmest, humble and down to earth people I’ve had the pleasure to speak with and I thoroughly enjoyed our conversation together. I hope you will too! Normally only members of our learning community have access to transcripts, however, we pick one or two a year to make avilable to everyone. Here’s the complete transcript of the interview with Patrick. 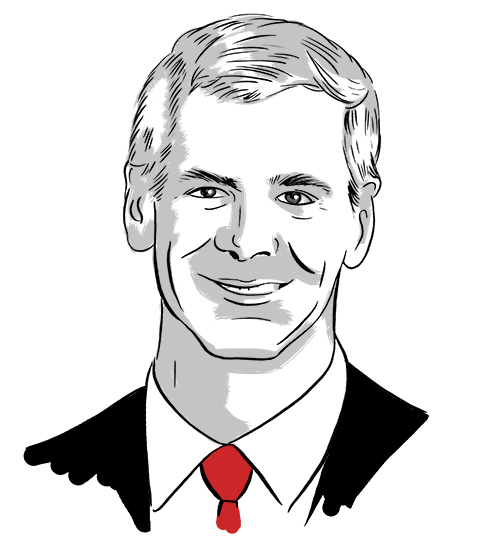 Michael Mauboussin (@mjmauboussin) returns for a fascinating encore interview on the Knowledge Project. We geek out on decision making, luck vs. skill, work/life balance, and so much more. Michael Mauboussin returns for a fascinating encore interview on the Knowledge Project, a show that explores ideas, methods, and mental models, that will help you expand your mind, live deliberately, and master the best of what other people have already figured out. In my conversation with Michael, we geek out on decision making, luck vs. skill, work/life balance, and so much more. An edited transcript is available to members of our learning community or for purchase separately ($7). A complete list of all of our podcast episodes.